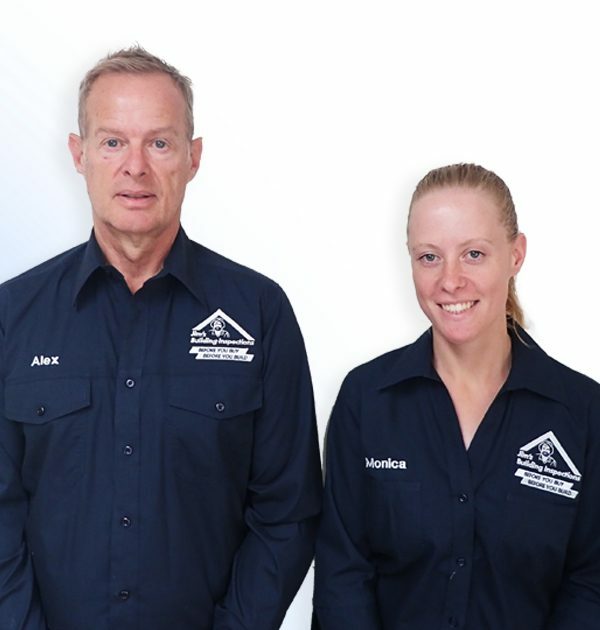 Alex and Monica are your local Carlingford Building Inspectors. Experts in residential and commercial building inspections. Monica has been involved in the construction industry since a young age, growing up in a family of builders and with a keen interest in all things construction. She started working in the industry at the age of 17 as an apprentice carpenter in the residential sector, mostly working on new homes. Having completed her Certificate IV in Building and Construction, she has continued to work across the residential sector. In 2014, Monica went on to complete her Diploma in Building and Construction to further her experience and knowledge. Monica joined the Jim’s Building Inspections team which offers a great support network and allows her to use her knowledge and skills with the space for a flexible lifestyle. Monica brings a unique perspective with her approachable nature and great attention to detail. Motivated and passionate, Monica always strives to deliver a high level of service to her clients so they feel secure and confident to make the right decision when buying or building. Monica is available to provide a range of services including new construction stage inspections, pre-purchase building inspections and asbestos inspections. In her spare time, Monica loves an adventure and enjoys activities such as camping, hiking and rock climbing.